Last week I attended the Core Breakfast “Non Māori roles in supporting Māori success” by Alex Hotere-Barnes. It was a thought-provoking sessions and made me question a few things and re-spark thinking around language learning and culture. 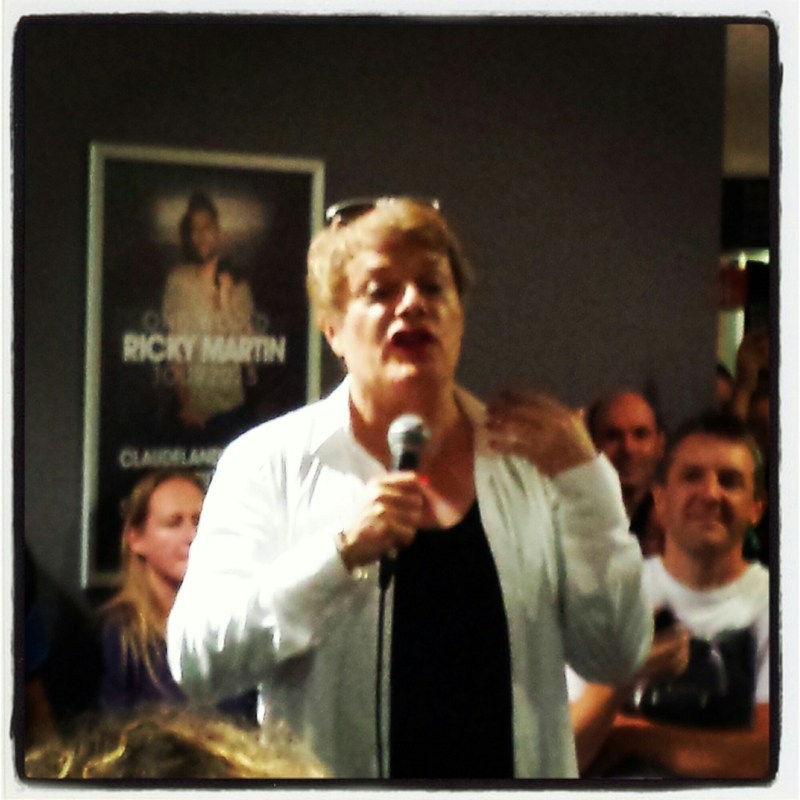 I storified the tweets of the session – while there are not many (and most of them are mine!) I think they briefly capture the main ideas. I will come back and explore them more deeply once I have had time to formulate my ideas. I am trying also at the moment to learn some Te Reo. As a linguist I completely understand the benefits that learning a language can bring to the understanding of the culture. But I am also nervous of offending by getting things wrong or appropriating a culture that is not my own. Alex talked about Pākeha Paralysis – the idea that we are so afraid of making mistakes in our interactions with Māori and offending that we don’t even start. “If you’re living in New Zealand the Māori language belongs to you. You are most welcome to take ownership of it, to learn it and make it your language because there’s heaps of benefits. Once you open that door and you start learning Te Reo you’ll start to see what the benefits are“. He went on to say that we cannot underestimate the power of the media – TV, Radio, Social Media to raise the profile of a language. Using the language in any way starts to give it ‘mana’ and others will start to use it too. But there is a tension sometimes and not all Māori are as welcoming as Scotty to Pākeha using Te Reo. That can be one of the causes of Pākeha Paralysis. Alex talks about (see video link above) how knowing who you are, what your identity is, knowing whose land you stand on and acting with humility, honesty and integrity helps us to interact in such a way that we build good relationships. That this is an ongoing evolution and that by constantly reflecting those relationships can flourish and people’s acceptance of Pākeha using Te Reo grows. 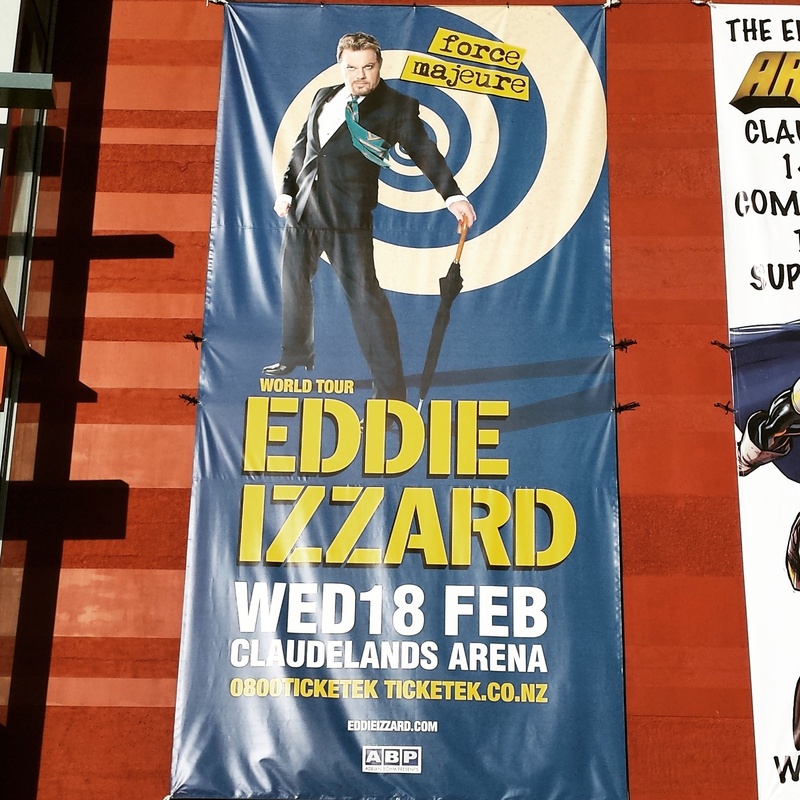 Last night we contributed to the cause of redressing our work-life balance and went to see Eddie Izzard at Claudelands Event Centre. There is nothing quite so good for releasing feel-good endorphins than having a really good laugh. He really is a “Force Majeure”; witty, intelligent, incisive humour that has a healthy splash of schoolboy, pythonesque absurdity and a strong sense of social justice. Just brilliant! But there are two things about yesterday’s show that prompted me to write; one is his complete support and passion for learning languages. He can present his show in French, German and Spanish and is planning on learning Arabic next. It is not just learning the language though, it is being able to reach out and connect with the culture and the nuances of language and understand the psyche of a people and what makes them laugh. Somehow he can do that. The other thing is his down-to-earthness (not sure that is a word! ), his sense of realism, of humanity, of social justice. I was surprised just how much of himself he revealed in snippets during the show. There were moments of very personal reflection amongst the silly noises and the insightful observations of life. In his Q & A session after the show he was asked about how he trained for his challenge of completing 43 marathons in 51 days to raise money for the charity Sport Relief. He said that he trained for only 5 weeks prior to starting and that the first 10 marathons were training for the next 33! But his comment that if you put your mind to it, you can do anything struck me most. We talk a lot about “grit”, about perseverance, resilience in education now. But where does it come from, that picking yourself up after you’ve fallen down and keeping going? Can we teach it? Can we learn it? Can we change the way that we are? Is the ability to persevere an innate quality or can we develop it? There are plenty of articles out there, if you google “teaching grit”. In this Tedtalk Carol Dweck talks about how we can shift our mindsets, how our own beliefs about our abilities affect the way that we learn and approach life. We hear the cliche about being able to do anything if you put your mind to it all the time but I believe it is true. Anyone can put one foot in front of the other but there has to be a desire to start, and then a determination to succeed and a doggedness to keep going when the going gets tough. But maybe you also need a sense of humour and just a little dose of absurdity? I will put that theory to the test on 28th March! Yesterday, I participated in a seminar at the University of Waikato as part of the annual Wcelfest on digital portfolios with the inimitable Helen Barrett, guru, grandmother and strong proponent of eportfolios. She has been exploring portfolios and eportfolios for the last 30 years and is convincing in her arguments for their benefits for helping learners see how far they have come and where they need to go. But she also talked about the power of digital story telling for finding people’s passions, for linking their past with their present and their futures. As people select artefacts of their learning and their lives they build and realise their own identities. She showed us a digital story made by a young Native Indian boy from a Reservation in the US in which he talked about who he was, where he came from, what his heritage was. Sadly, he ended with the comment that his culture was dying, all that was left was the Reservation. A few of his race holding on to their heritage, maybe not too late to take their stories, their songs, their language and their traditions forward into the future. It made me think about the “mihi” that Maori use to tell about their heritage and whakapapa. Our theme for this term for our Juniors is Globalisation. As part of that, we are looking at identity, at language, at who we are and where we come from. My students this week have been presenting their “mihi” and so I told mine to model how to do it. I am not a Kiwi, I am not Maori. I am a pakeha an “off comed’un”. In my first few months in NZ I joined a Maori culture class to learn more about the land in which I had chosen to live. Our tutor told us about how important that sense of knowing where you have come from is for Maori. What your genealogy is, what elements of the land have shaped who you are and how you think and which ancestors have been influential for your thoughts and beliefs. As part of that class we explored our whakapapa, and we wrote our own mihi. I had to think a lot about what my connections were with where I came from. Strangely, despite being born and brought up in England I have never really felt a strong connection with England. I feel more connected to the Celts; the Scots and the Irish and even the French! Although I feel very strongly that I am a Yorkshire lass!